Global skincare brand SK-Ⅱ will release the first episode of the new beauty entertainment series called “Suppin Suhada Talk” on 25th March. The official trailer was released on 20th March. 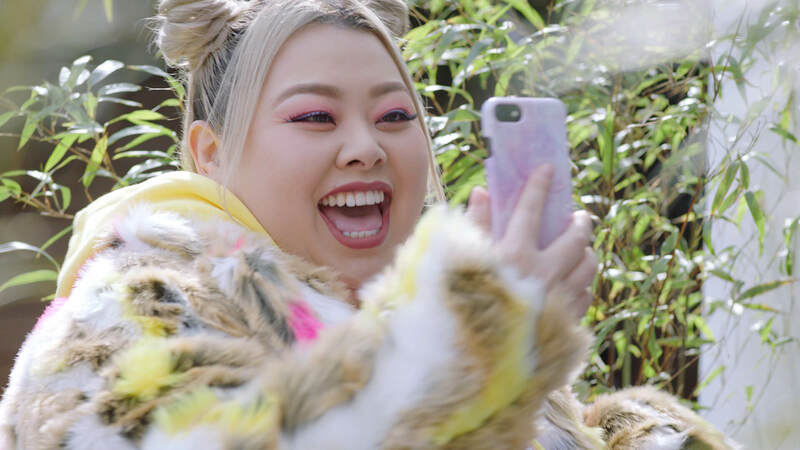 One of the participants in the talk series includes Naomi Watanabe, a famous Japanese comedian who is known is the “Japanese Beyoncé” and has also performed overseas. Another other is James Corden; the host from the American TV show “The Late Late Show”, who is also famous for his carpool karaoke hosting. This will be James’ and Naomi’s first ever time to take part in the video series! The two comedians will suddenly appear in the bathrooms of famous actresses Kasumi Arimura and Chloë Grace Moretz. Throughout the series, the viewers and comedians will then uncover beauty secrets from the actresses that everyone is dying to know. From the other side of the closed door, one by one, the four participants burst into a charming or silly pose that they have never shown anyone before. With all their might, Arimura Takahashi and Chloe Moretz challenge themselves to everything from beatboxing to dancing to ASMR. They will also reveal their beauty secrets and try out the SK-II PiteraTM * Essence (facial treatment) which is “just like liquid foundation”. The first episode of the “Suppin Suhada Talk” series will be released worldwide on 25th March at the same time. After that, a new episode will be released every two weeks to form a sequel. Gradually, the secrets of beauty will be unravelled! For this series, I was given the role of explaining the amazing qualities of Pitera™ to Naomi Watanabe ー it’s a pretty heavy role and before the shoot I was nervous thinking about it but after the shoot I felt completely different ー I was relaxed and really enjoyed myself! I was not sure how Watanabe would react during the shoot so I just acted natural and interacted with her in a fun way! I’ll be very happy if everyone watching also feels just as enthusiastic about Pitera™! This is a brand I have always adored, so when I first heard the news about being part of the series I was so happy. As a comedian, I had fun interacting with Arimura and incorporating comedy into the introduction of the product ー I think it is a very original idea and made the shoot really fun! Whilst being given the freedom to steer the show, I could really feel Arimura’s enthusiasm to spread the news about Pitera™. It was fun and I learned a lot about SK- II. I say this in the video too but… I think this is something that a god would even purchases! The video shoot was really fun and the set was overflowing with laughter. I’m pretty sure viewers at home will also be able to sense the fun. There are times when you don’t want to be thinking too seriously about skincare but would rather just have fun! Me being associated with a skincare brand is nothing to be surprised about. I have always been a big fan. Nowadays, SK-II is essential to support my skin every morning and afternoon and evening.